Strap in and get behind the wheel of the raging bull of the supercar world with a Lamborghini driving experience. It doesn't matter if you pick the Huracan, Gallardo, Murcielago or the Aventador, every Lamborghini has the looks, the speed and the power to get your adrenaline pumping. 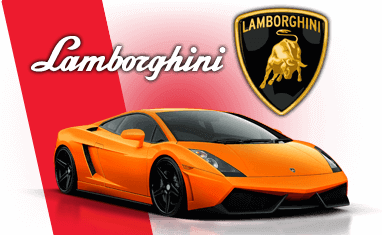 See our range of adult and junior Lamborghini driving experiences below. 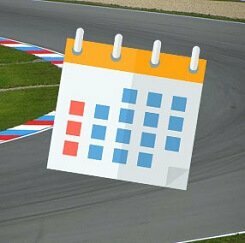 Find available dates for lamborghini driving experiences with our live calendar. What is a Lamborghini Driving Experience? Nothing quite has the same speed, excitement and adrenaline-fuelled looks like a Lamborghini. The raging bull has maintained its status as the king of the bedroom wall poster ever since the Countach, with follow up classics like the Diablo and Murcielago retaining that wall space and the Aventador is continuing the Lamborghini poster collection for young car enthusiasts. We are offering you the incredible opportunity to move your poster car dreams into the real world, giving you the chance to get behind the wheel of Lamborghini’s latest and greatest supercars. Whether it’s the V12 lunacy of the Murcielago and Aventador or the poise and precision of the V10 Gallardo and Huracan, you can turn your childhood dreams into reality with Trackdays.co.uk. The Aventador is a 700bhp V12 rocket ship capable of 0 to 60mph in just 2.9 seconds, you could drive this incredible hypercar at a number of locations across the country including the Goodwood racing circuit. Or get to know its little brother, the Huracan, which is capable of 0 to 60mph in an astonishing 2.5 seconds. Or if you still crave to experience the mighty Murcielago and Gallardo, we have a number of experiences ready and waiting to fulfil your greatest supercar desires. These older cars are still incredibly impressed with the Murcielago capable of a top speed of 205mph and the smaller Gallardo able to go from 0 to 60mph in just 4.1 seconds. Under the guidance of our specially trained instructors, you will experience all the excitement and thrills that these Italian thoroughbreds have to offer. These Lamborghinis are available to drive on tracks specifically designed to exploit their legendary performance and handling. Packages are available for both adult and junior drivers, along with experiences which allow you to drive more than one supercar, add to your experience an Aston Martin or Ferrari drive, making your day a truly unforgettable experience. To book a Lamborghini you can either buy a gift voucher to give to someone special and let them choose from our huge range of fantastic experiences, or you can book directly onto your chosen date.